Monarch Air Group provides private air charter in Miami Gardens, FL. Our clients benefit from top-notch service, unrelenting dedication to safety, wide selection of aircraft, and years of experience in chartering private jets. To obtain a free quote, please use our online quoting tool provided below, or call toll free 1-877-281-3051. Monarch Air Group provides private jet charter flights in and out of Miami Gardens, Florida, USA. Miami Gardens is a Miami suburban city, which is situated in Miami-Dade County. 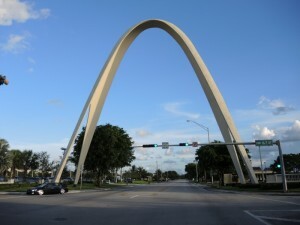 With a population of about 109,680, Miami Gardens is Florida’s largest city that has a majority black American population. The most notable tourist attractions include Sun Life Stadium, Dolphin Stadium, and some others. The nearest airports are Fort Lauderdale-Hollywood International Airport (FLL / KFLL), which is situated 16 miles from the city center, and Miami International Airport (MIA / KMIA), which is situated 17 miles from Miami Gardens.